Welcome to Buyers Meeting Point, home of writer Kelly Barner. Buyers Meeting Point is owned, managed and edited by career procurement professional Kelly Barner. 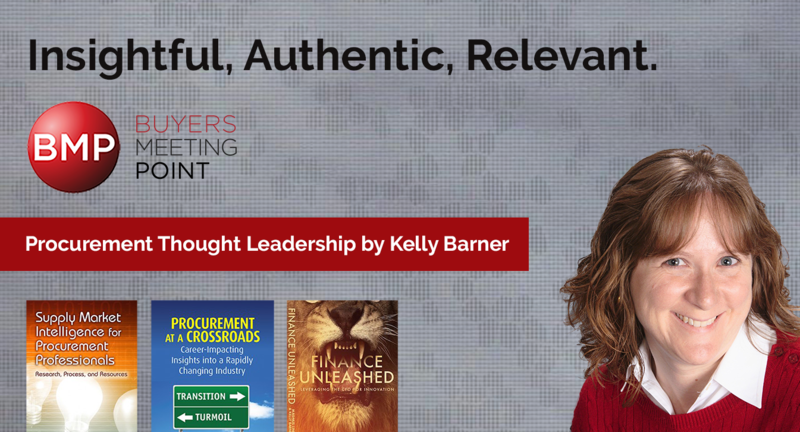 In addition to providing the industry with events coverage, book reviews, podcasts, and a vibrant social media network, Kelly is one of the most prolific writers in procurement and supply chain. Her work is featured on a number of industry blogs and she is regularly asked to write and contribute to thought leading white papers. Click here to learn more about or connect with Kelly.